Sometimes, being in a relationship is no easy task. In fact when I asked my grandmother who had been married for over 50 years for marital advice, she told me, “Sometimes marriage is work.” At the time I had stars in my eyes and love seemed so easy. I had no idea what she really meant. But over time, I realized that marriage is a commitment and sometimes, it goes awry and you have to work getting through those times. You have to work to get your needs met and to meet your partners needs. Here are the top ten relationship mistakes to avoid. If you nurture your relationship and put effort into it as you go, it helps you keep your relationship strong. What is a relationship? Two individuals fusing to make a beautiful world, but more often than not, it’s this individuality that causes the beautiful world to fizzle out. They say that once the honeymoon period is over, the layers or masks every person wears begins peeling off, exposing the real person to the partner, and that’s where trouble starts brewing. Soon, people become themselves and go about their normal routines, making their partners feel that they’ve changed a lot. Does it mean people will continue wearing those masks forever? Or does it mean that they were faking it in the initial days? Let me break this thing down for you. In the initial burst of puppy love, all of us act differently. Being married for a long time now, even I’ve felt that my husband is a different person. The truth is, newfound romance makes us all different. It takes us to a happy place that can exist only when we are high on new love, but ferries us back to normalcy when this love becomes a part of our lives. If you are experiencing a sour patch in your relationship, now is the best time for you to make amends, and rectify these little relationship mistakes you might be making. We all tend to go to la la land and imagine all sorts of things, don’t we? It spells trouble when it’s no longer la la land that you are visiting, but a certain dark and negative streak of thought that your mind is dragging you to. When we are in a negative frame of mind, everything seems negative around us. We also tend to read way too much between the lines. “Oh, he’s always on his phone! Bet he is keeping touch with his ex.” We’ve all been there and done that, many times ending up snooping on our other half’s phones and social media accounts, and that’s never a good thing. This is the first step where the relationship takes a beating. It is time to take off the dark sunglasses and try out some rose colored glasses. A more uplifting attitude can have great results. By this, I mean either being very clingy or being very cold. We all need our spaces, and when somebody trespasses, it’s never a good feeling. Maybe that’s a way of showing love, but where’s the guarantee that the other person also takes it that way? What is being loving for you, might be coming across as being clingy to your partner. Having hobbies and friends to hang out with will make the time you spend with your partner better in quality, than being around each other all the time. It is good to communicate when you need a bit a space and it is good to responsive when your partner needs some attention. While a little bit of distance is always welcome, don’t become cold towards your partner. Even if you have had the nastiest of arguments, having dinner together and sleeping on the same bed, rather than in different rooms, will ease the tension a bit. There are these times when we feel we are in the doldrums. Be it messy office situations, or tricky issues with relatives, we go through a lot of emotions, and often need someone to share these things with. That’s where partners play a role. As a partner, you can’t always be the speaker. That is certainly one of the top ten relationship mistakes to avoid. You’ve got to be the listener, and the shoulder, too. Not being there for your partner is one of the saddest things, because it then translates to you not taking their problems seriously. It could also come across as taking the ‘partner’ tag for granted and belittling the importance your partner has given you. Come to think of it, it’s one of the biggest relationship mistakes you can make. This doesn’t refer to any exercise that you might be doing. We are talking about something else. Going out of your way to make things happen for your partner is such an adorable gesture, but not if you are only expecting something in return. For example making elaborate arrangements for partner’s surprise birthday party because you are secretly hoping he’ll do the same for you, will likely result in a f deep feeling of being let down, and irritation. Go out of your way but only if it feels good to you and you aren’t expecting the same back. It is important to remember that your gestures of love should be unconditional and yet you should express your needs and not expect your partner to read your mind or owe you. If you are someone who likes avoiding trouble, then you might be doing this unknowingly, or sometimes even deliberately. In your quest to avoid a fight or disagreement, you might put off opening up to your partner about something you feel strongly about. This will help you steer clear of a spat for sometime, but eventually, the issue will begin bothering you, bubbling up inside you, and the slightest of provocation, or even the lack of it will make you erupt like a volcano. This is most likely to leave your partner confused, or even angry, causing trouble in paradise. So, be a good wife, or husband, and communicate well to avoid problems. You do have to pick your battles but respect when something is truly important to you and talk about it before it builds. Out of the top ten relationship mistakes to avoid, this is number one. By cheating, I don’t just mean having a full-fledged steamy affair. I also mean the several subtle ways in which you are replacing your perfectly fine partner with someone else. Don’t betray your partner’s trust and don’t weaken your relationship by turning to someone else to meet your needs whether emotional or sexual. You should be happy in your family life. Your relationship is a blessing. There are several things about it, and about your partner that you should be thankful for. If you can’t identify the blessings, then you have no right to gripe about things that are not going your way. A little note of appreciation once in awhile, an uncomplicated thank you, a tender kiss, a hand of a knee, a meal for two – there are so many ways in which you can count your blessings and let your partner know as well. If you are not already doing it, then start now. Like right NOW! Try cutting those words out of your vocabulary when you are discussing your relationship with your partner. “I never get the things I want for Christmas.” “You always undermine my parenting.” Those types of statements are very hurtful and probably aren’t even true. Keep the discussion to the current problem that can be fixed instead of pulling out a past history of failures. Punishing your partner is just plain wrong. If you think your partner has done something that you didn’t like, don’t punish them by withholding your love and turning into a cold fish. You both lose as you cut them free to drift in isolation. 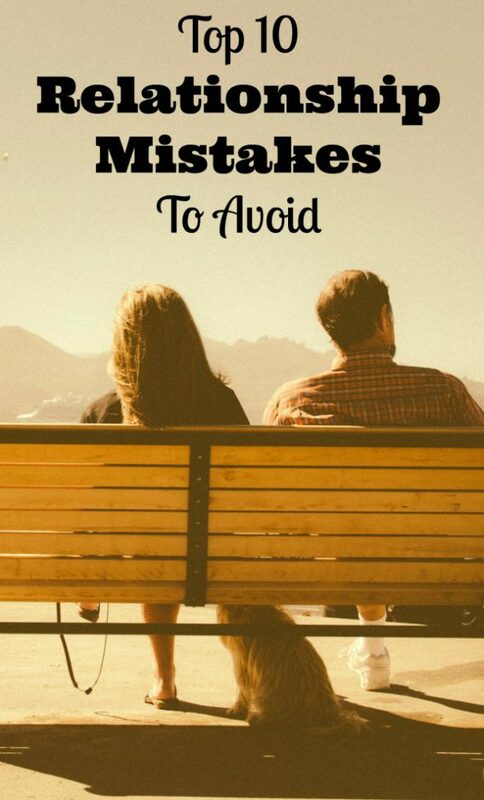 This is one of the most hurtful of the top ten relationship mistakes to avoid as it just hurts you both. Instead, talk to them about the problem and try to understand their point of view. Give them a chance to defend their actions. 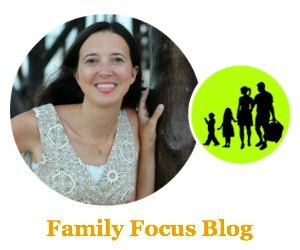 Taking each other for granted is a normal, natural part of marriage but it is still a problem. Both partners need to feel appreciated and a little effort now and then is key to keeping the love romance and magic alive. If you had to go on a date with a new person, you can bet you would put time into preparing how you look or where you go or trying to make conversation. Why should it be different with your partner. Don’t stop putting your best foot forward. Relationships can be delicate so avoid these top ten relationship mistakes. You have to nurture relationships to make them stronger and keep them strong. If your relationship is special, trust me, all the efforts you put into it will be worth it. Give it your all, and all the love you get in return will make it the best investment ever! As you were reading through the top ten relationship mistakes to avoid did you recognize a bunch that your partner makes? Well, then read through them again and think honestly if you are making some of those same mistakes. So often we mirror each other’s behavior. Put aside the mistakes and focus on the things you love about your partner. Remind them just how much they do mean to you.